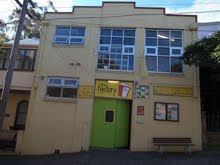 The Factory community Centre is governed by a local resident Management committee who guide the direction and strategic planning of the organisation. They are elected at the AGM by our members. The management committee is made up of a group of volunteers with a diverse range of skills and experience. Meetings take place each monthly and overall management of the organisation is delegated to the Executive Officer.